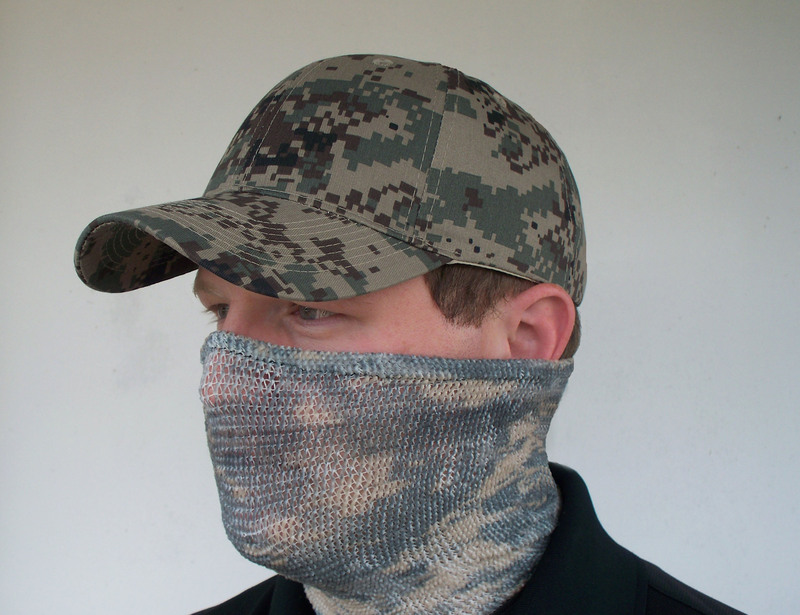 Spando-Flage Headnets & Facemasks | Great Day Inc. 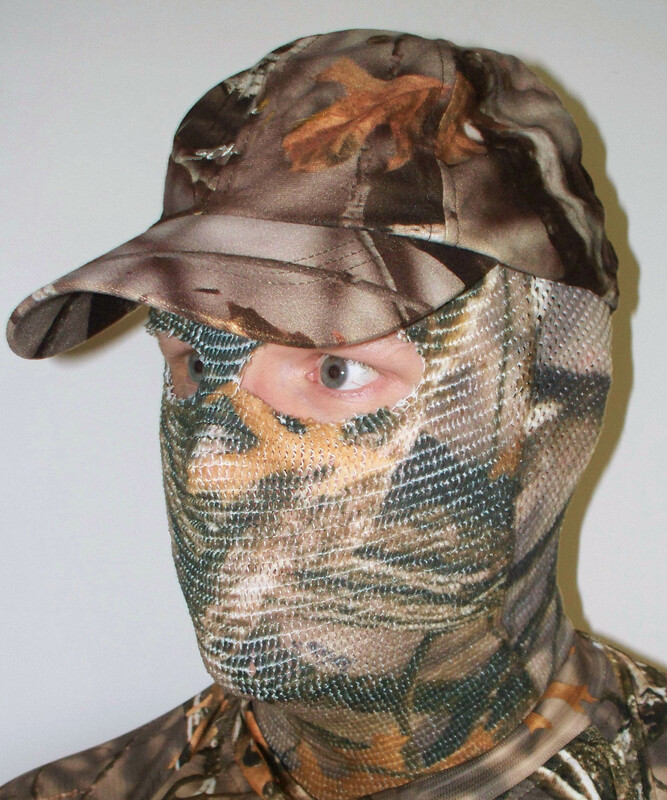 Most hunters try and hope to be so well camouflaged, and so effectively concealed that when a deer, turkey or some other animal looks their way, those penetrating eyes look right on by and see nothing that resembles a human being. 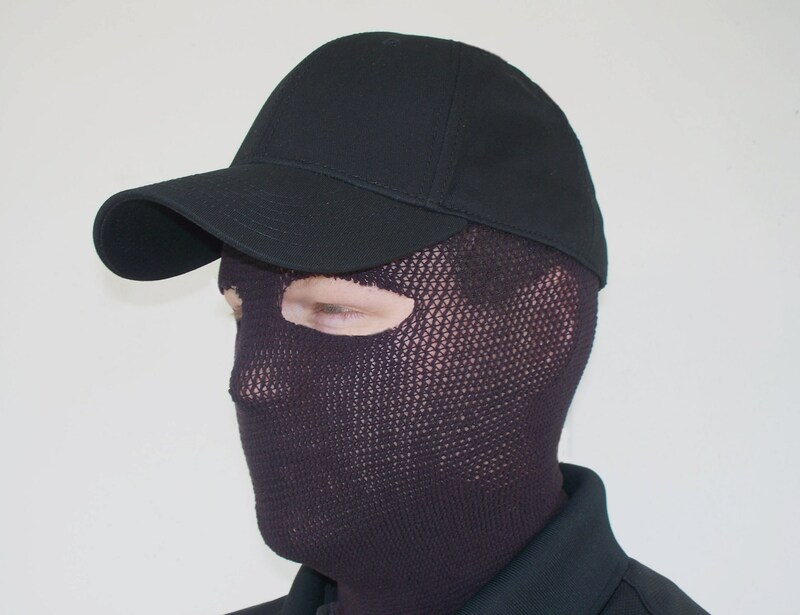 The Spando-Flage Allusion headnet is the only headnet that covers the entire face and allows you to look your prey in the eye. The new Allusion Headnets, with a more comfortable fit and a more effective, more detailed camo pattern, gets the job done like never before. 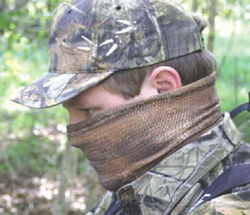 Allusion Headnets conform to the hunter's face and eliminates the age old problem common with all other face covers of moving and blocking the sight line as you try to make the shot. They are also the only full face covers guaranteed to prevent the problem of fogged-up glasses. Eyeholes can be cut to the preferred size without raveling. Allusion Headnets can and should be washed regularly to eliminate human scent. Washing does not cause shrinkage or loss of shape. 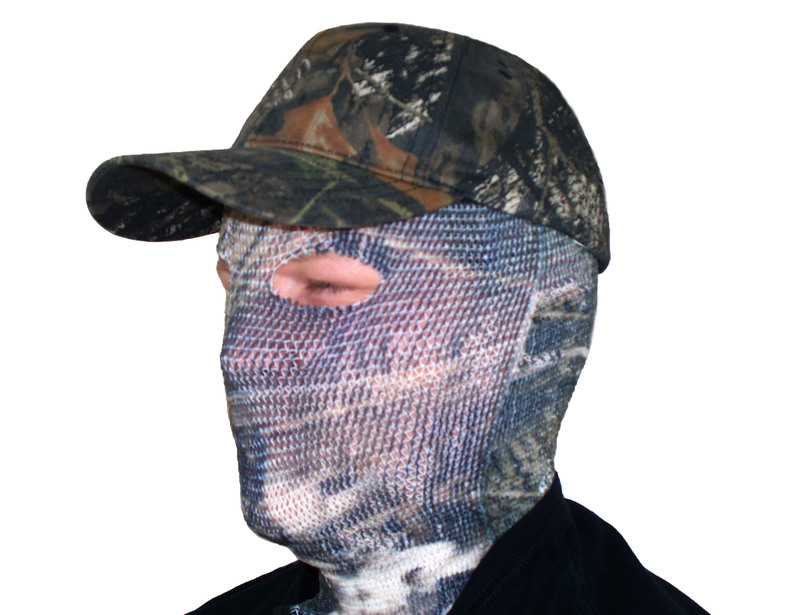 Allusion Headnets are available in most popular camo patterns and can be matched perfectly to hunting apparel. Provides warmth enough to cut the early morning chill, but is ventilated to be comfortable on the warm days of early seasons. 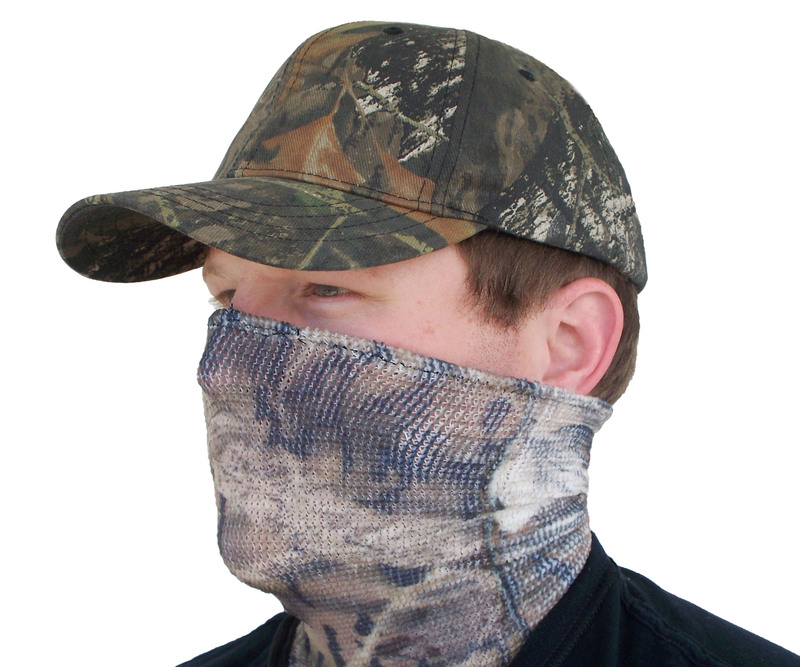 Ideal for all types of hunting in any season. 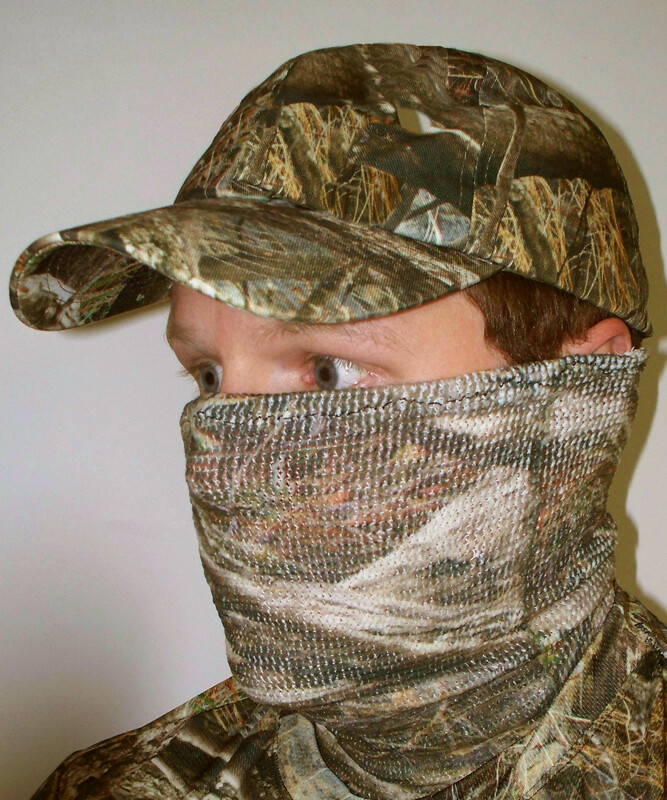 The camouflaged patterns are ideal for deer, turkey, elk and duck hunting. 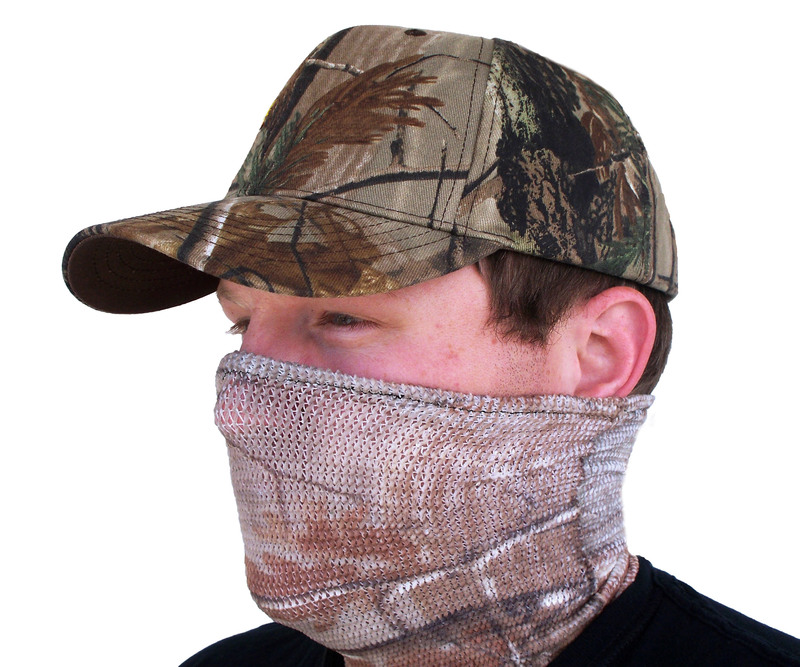 The snow white version is perfect for hunting geese or in other snowy conditions. 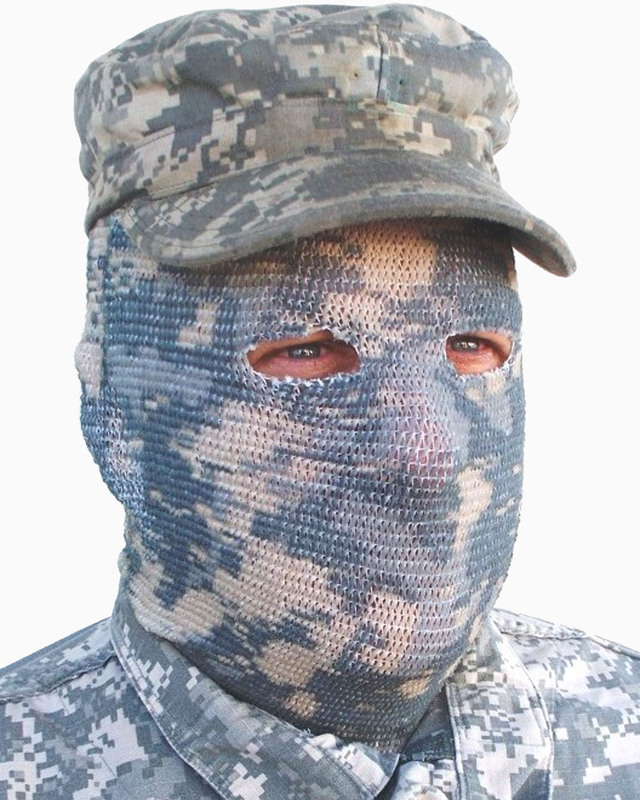 Introducing the amazing Spando-flage "Shortcut" Facemask - no straps, no snaps, no wires or strings. Just slip it on, pull it up and look em in the eye! Shortcuts have a stretch ratio of 10 to 1 and can be conveniently stored in even a shirt pocket. No other facemask on the market comes close to being as user-friendly, versatile and effective as Spando-flage Shortcuts. 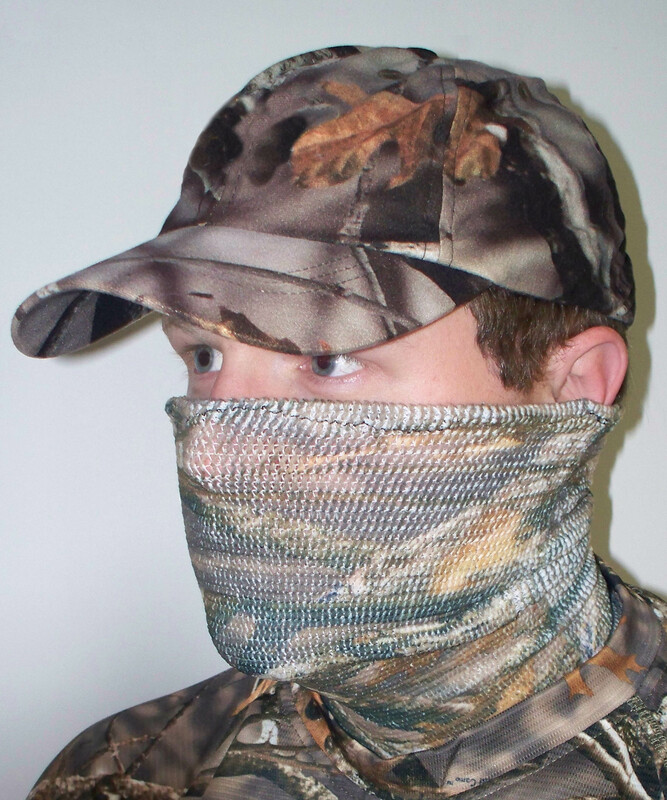 Shortcuts have all the good things that hunters have always liked about Spando-Flage - they form to the face for perfect camouflaged cover - they "breathe" to keep you comfortable in warm weather and they hug your face to cut the chill on a frosty morning. 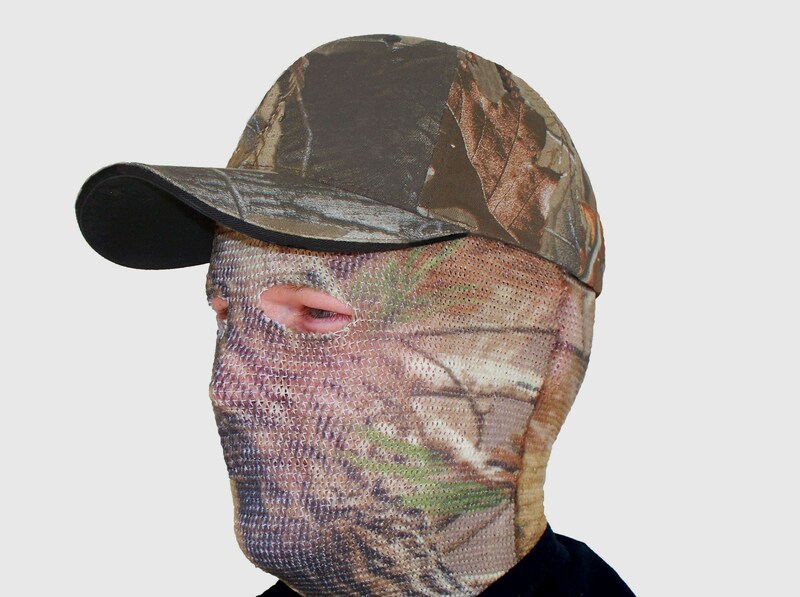 Best of all, they blend with camo clothing and the natural surroundings to literally cause a hunter to disappear. 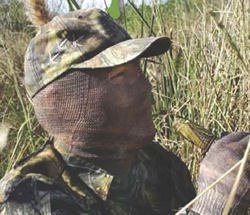 If you are a "run 'n gun" turkey hunter, a "walk 'n stalk" bowhunter or a "hide 'n peep" duck hunter, Shortcuts get the job done.